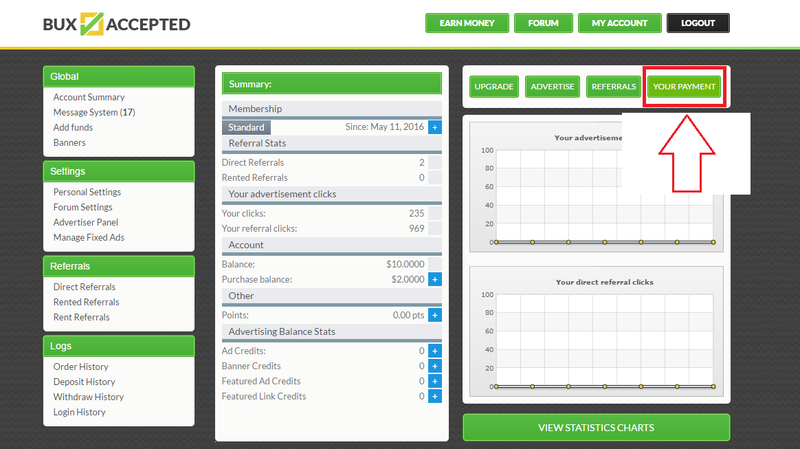 Forum Buxaccepted → Support → Payment Processor Support → How can I withdraw? 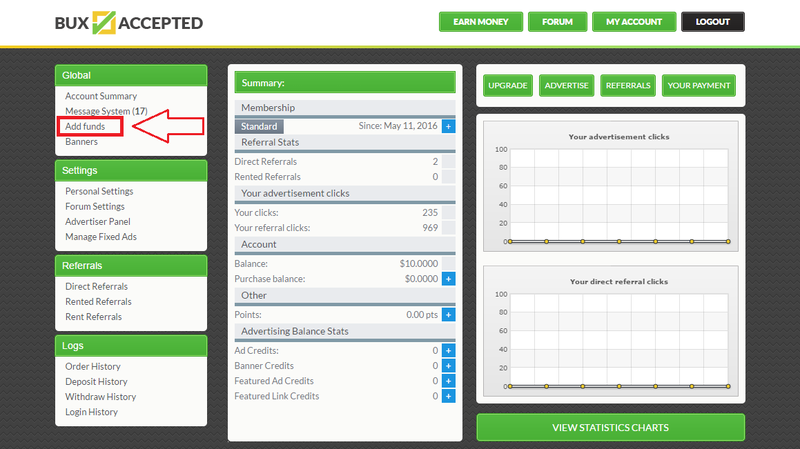 This training is provided for users who do not know how to withdraw. 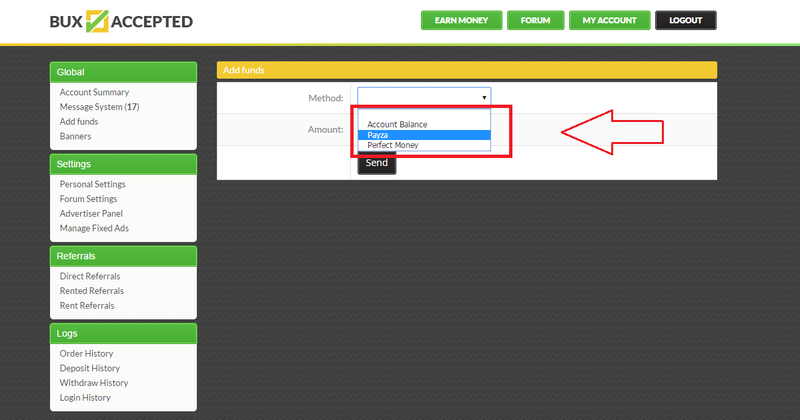 According to rule of withdraw from the account, all users who want to withdraw should at least deposit $1 by one of our payment processors once, so that payment processor appears on withdrawal page. 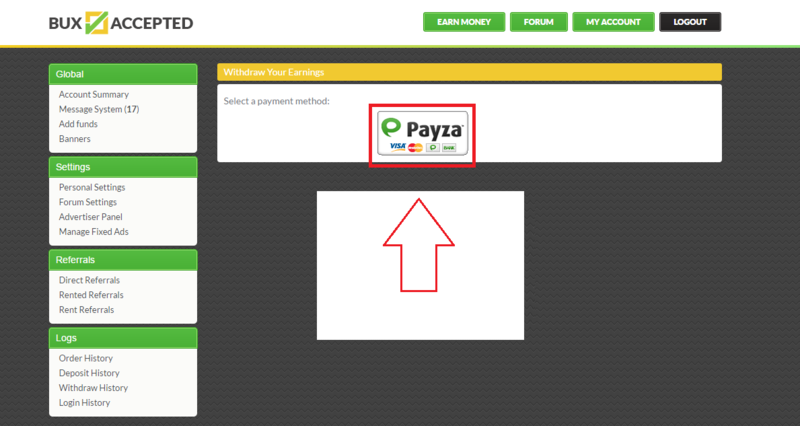 You can only withdraw from the same payment processor that you have deposited. 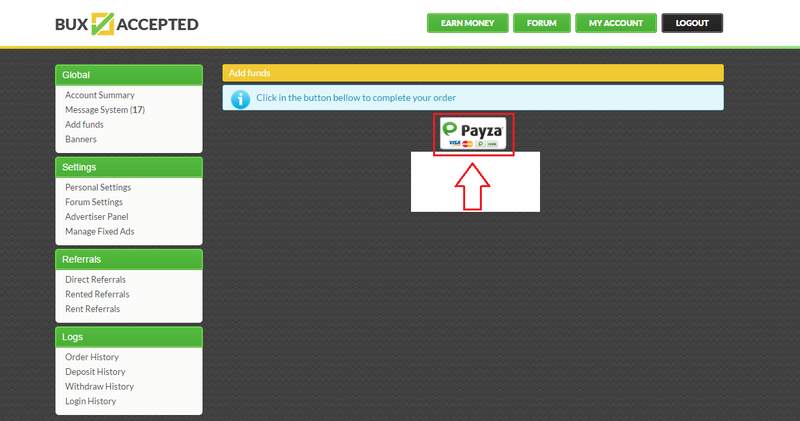 1_ Click on "Add Funds"
2_ "Select a payment processor"
3_ "Enter Amount" and Click on "Send"
5_ Click on "Your Payment"
And can not withdraw funds with paypal? Sorry, There is no possibility to pay with PayPal. But later they will be able to manage the payment processor paypal or definitely no longer ??? 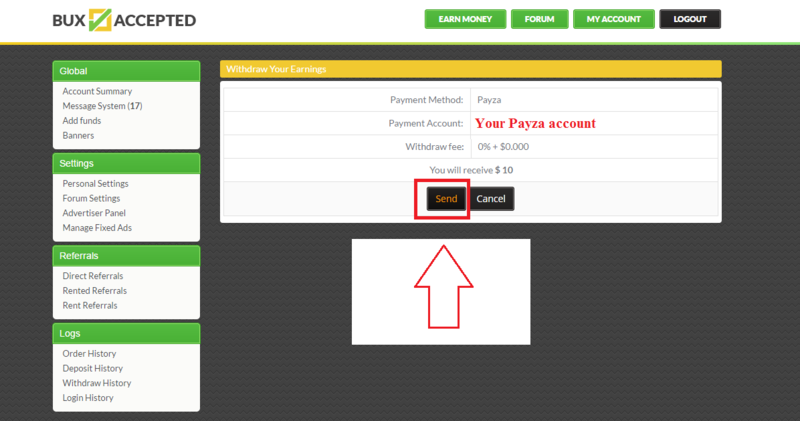 All users who want to withdraw should at least deposit $1 by one of our payment processors once, so that payment processor appears on withdrawal page. Como cobro, ya deposite el dollar y ahora que? 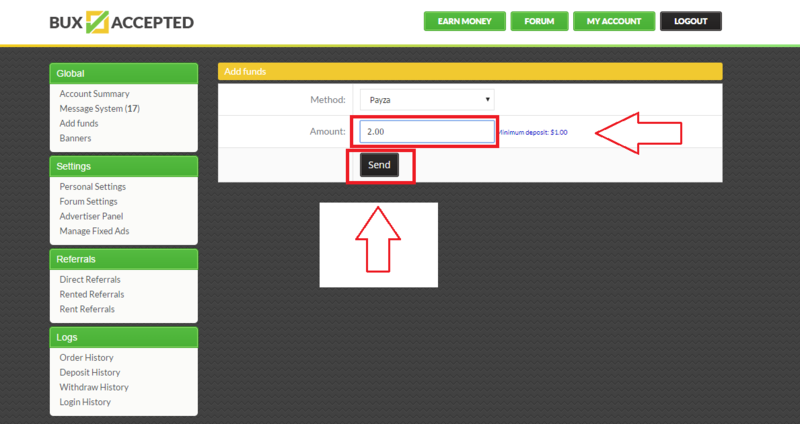 I have already reached the $ 5 and deposit the dollar and now what are the steps to withdraw? © 2016-2019 Buxaccepted. All rights reserved.